The second study, published in the Journal of Occupational and Environmental Medicine, provides additional support for the value of chiropractic maintenance care for post injury low-back pain patients. The study cohort was 894 injured workers, who were followed for one year. An excellent example would be if you own a car or a furnace, the notion that you need to perform regular chiropractic maintenance raises no objection. The car engine needs oil and coolant to run properly; the furnace needs cleanings and new filters to operate efficiently. But when it comes to our bodies, we often wait until we can tell something is wrong before acting on it. We believe that how we feel directly ties to how healthy we are, and even after something starts to hurt, we put off doing anything in the hope that it will go away on its own. You are worth more than this. Your body is designed to take care of itself, but when you neglect your care, those healing powers diminish. 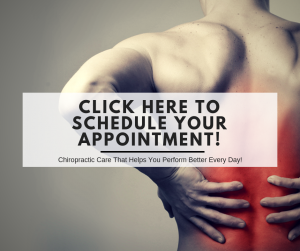 Chiropractic maintenance serves to keep your back and spine straight and aligned over time. This, in turn, frees your body’s magnificent central nervous system to protect and heal you from within.